It's 17:17 in Čazma, Croatia right now. Križevci: City View, 19.2 miles away. Sisak: City View, 21.6 miles away. Kalnik: Old Castle of Kalnik, 27.1 miles away. Marija Bistrica: Marian Schrine of Marija Bistrica, 29.7 miles away. 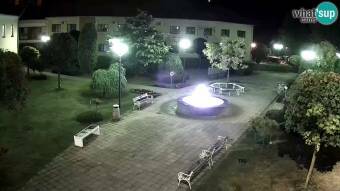 Koprivnica: HD Stream Zrinski Trg, 30.6 miles away. Zagreb: Sestine & Medvednica, 31 miles away. Zagreb: Zagreb Airport, 31 miles away.